Mipaq has added to it’s growing range of VECTOR 5 layered shrink films. 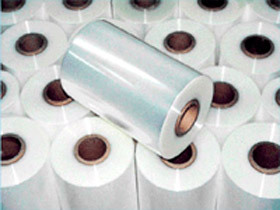 Our range includes 12, 15, 19 and 25 micron films ranging from 150mm to 700mm. Accompanying these films are a wide range of shrink wrapping machines including L-Sealers, combination shrink wrappers, I bar sealers and shrink tunnels perfect for any shrink wrapping application.